Chris Witts has lead a truly remarkable life and here in this collection of audio clips, he tells Sue Dubois all about some of his most memorable experiences. Chris attended the Central School in Derby Road before entering the world of merchant shipping as a ship’s lad. 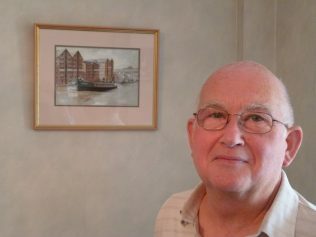 This took him all around the UK and overseas and Chris clearly recalls the night of the Severn Railway Bridge disaster – the boat he was on was traversing the Severn not too far from the bridge when the accident occured. Later, Chris left shipping to join the Fire Service and ended up serving the communities of Gloucester for 27 years. After this, Chris returned to shipping before being persuaded to enter the world of politics by standing for the role of Councillor for the Longlevens area. 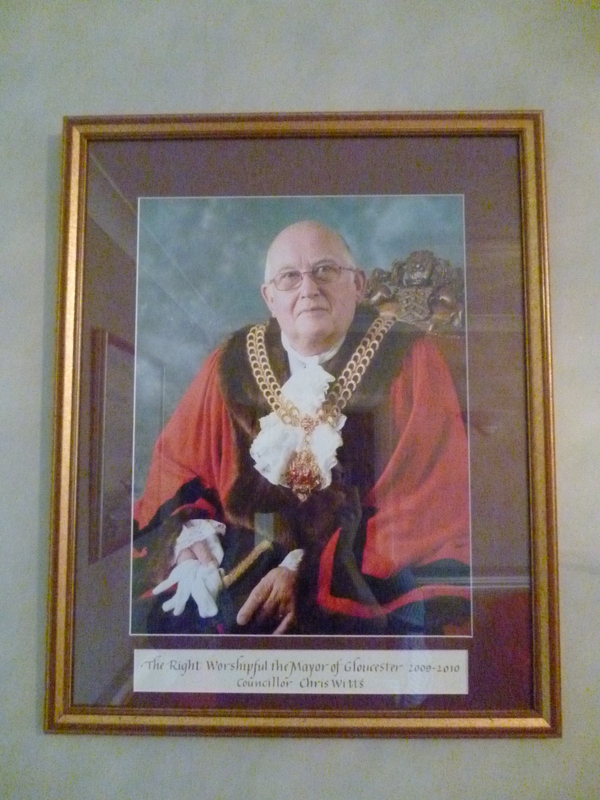 He went on to win the seat, and in 2006 Chris was elected as Sheriff of Gloucester. In 2009 Chris was elected as Mayor of Gloucester and in the the later audio clips, he speaks about what the role meant to him, the local community and also his thoughts on the Mock Mayor of Barton role in the community. I was looking over the site & saw the comments & history of Chris Witts. We both went to Central School at the same time. Coincidence I also joined the fire brigade but as an auxiliary serving at the station which I hear Chris says is being demolished. Only finished at the disbandment of the auxiliaries, I guess I was around 18. 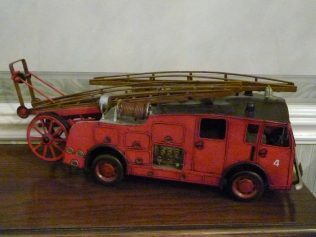 Remember the hook ladder drills up the tower & practising dropping off the top of the old turntable ladder on a weight clutch system, at the time full of bravado!! That engine was the pride & joy of the service. The officer looking after the reserves was Station officer Warburton, I recall his brother was senior officer there. 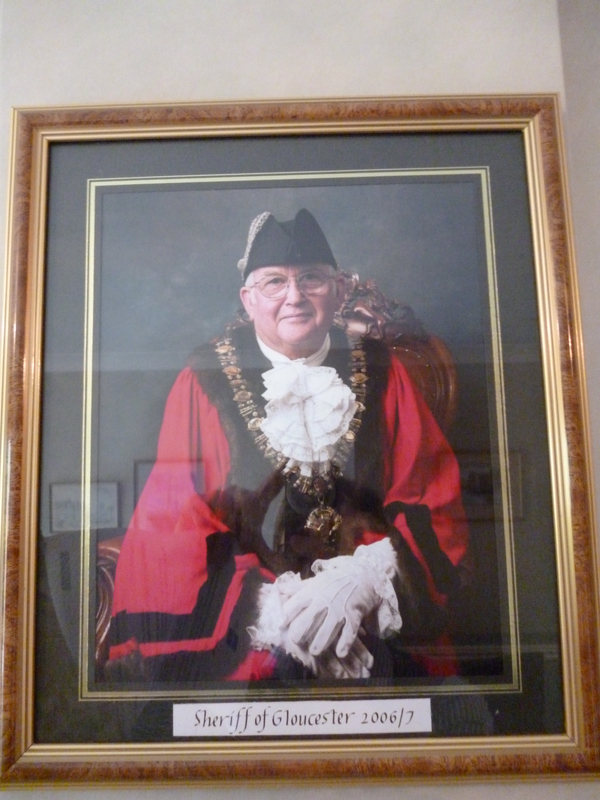 We lived fairly close at one stage & I remember going with his family to the Quaker meeting rooms for some time.